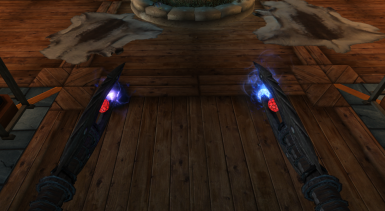 A simple, esp-less Conjuration staff model replacer with some custom textures and a pulsating glow effect. vpulse08 is the Original mod author. 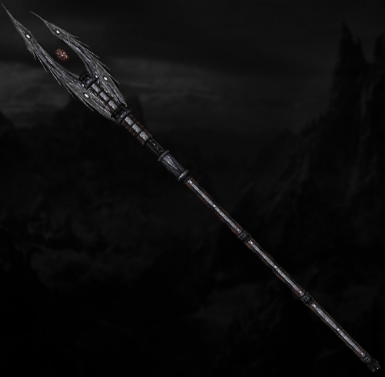 ﻿This mod replaces the Conjuration staff model which uses the Daedric Battleaxe textures. 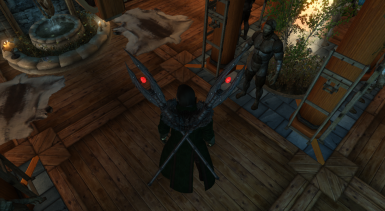 The staff's overall appearance (except for the orb) will depend on the installed textures for your Daedric Battleaxe. 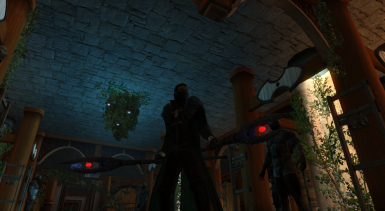 The in-game screenshot uses the vanilla textures. The orb uses its own separate textures which is included in the file. It has a red pulsating glow effect added to it. DSR Patch also included with the modded files. This is the link to original mod page https://www.nexusmods.com/skyrim/mods/92285?tab=description.